In 1968 and 1969 Rob Mason used (Don Moore's?) 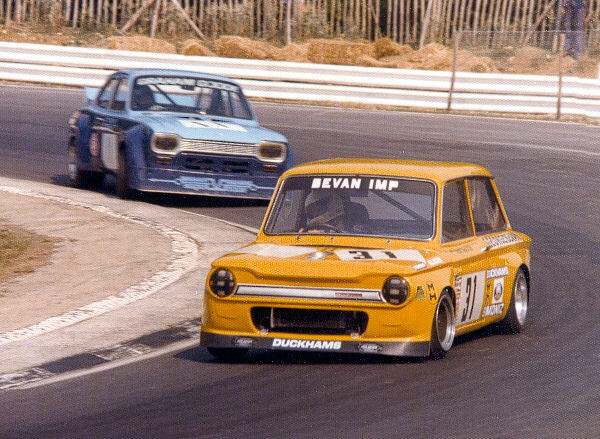 Minis in competition that had a Peter Bevan tuned cylinder head. 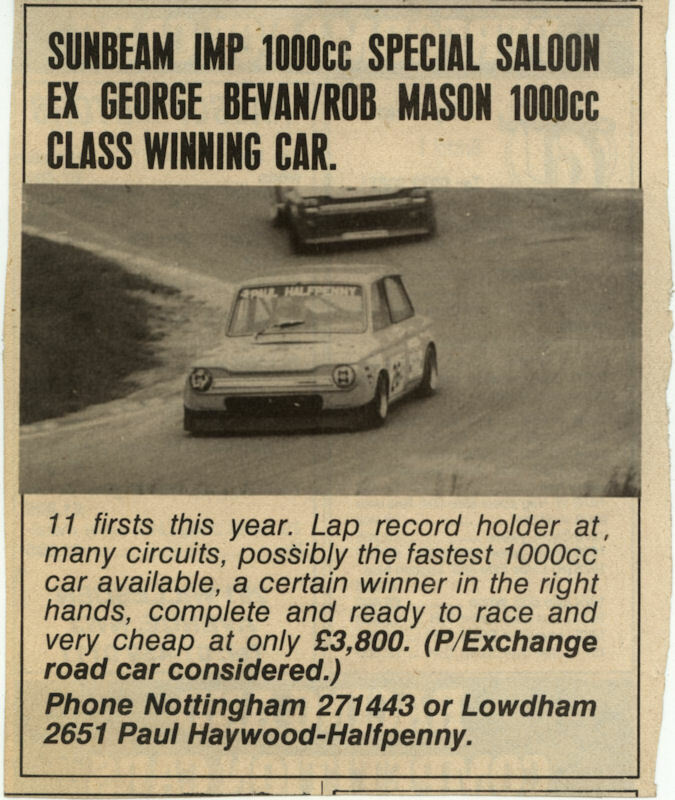 In 1977 Rob Mason changed from Minis to Imps. He and George Bevan prepared Imps together in the shed in George's back garden in 1977 and 1978. 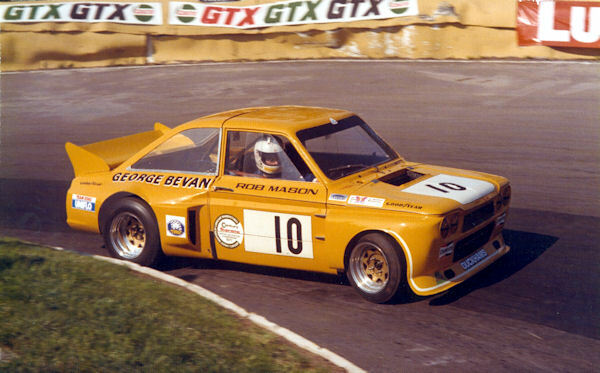 In 1976 George Bevan built a special saloon Imp and won the Kent Messager Championship with Rob Mason driving. 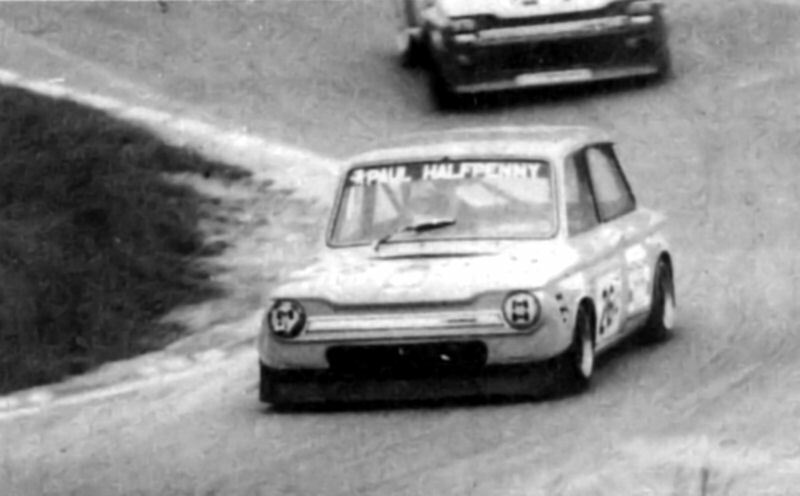 In 1977 a Super Saloon Imp was built with a formula F2 2000cc engine and Rob Mason won again the championship. Lap records were taken at each race circuit visited. Mason built a semi-space-framed Stiletto racer for dr. David Enderby who had once too often lost with his fancy Mini against an Imp. This Stiletto was sponsored for a while by magazine 'Cars & Car Conversions', and they gave regular reports of driver and car. It had big CCC stickers and was white. It was a top runner in the Wendy Wools Special Saloons Championship. In 1978 it took a triple roll at Brands Hatch (due to a fracas with Mike Parkes), and it only showed a few cracks and scrapes. The disadvantage of the semi-space-frame was that it was some 1cwt (50kg) heavier than a space-frame, which made it really only suitable for Imp engines and transmission. But it was superior in handling. Shell ran a scheme of 'Shell Sports stars', where every win resulted in a star - and its door was bedecked with these. Mason also built one for Alan Humberstone, which was BDA and Hewland equipped. Until Llewellyn found somewhere to keep it, Enderby held on to the car and obtained all the missing items to get it on the track. All in all it cost Llewellyn some £3,400. To David the Mason Stiletto was ideal as a novice's car. [Impressions March 1995. - p. 11-15] However his introduction to motor sport was not a success and by the end of 1980 he had neither money nor hope. The Stiletto was stored in a number of places around south-east Essex. Later the chassis was sold to Brian Innes, near Aberdeen; the rest of the parts were sold over the years. Stephen Brett of Barking inherited all the suspension and other bits. Ian Forrest and his successful 'Drambuie Imp'. He drove a BMW M3 in the 80s sponsored by Novaphone. He took the Mason for the boss of Novaphone, Bob Jamieson, to use as a novice's car. Rob Mason was writing an article about his Imps in 2002. John Stanger-Leathes (driver) & Rob Mason (navigator) in an Austin Healey Arkley (no. 31) competed in class H1. Result: 18th overall.